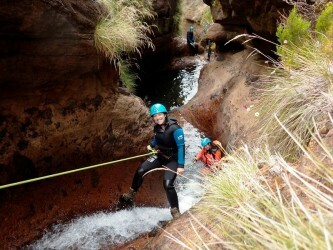 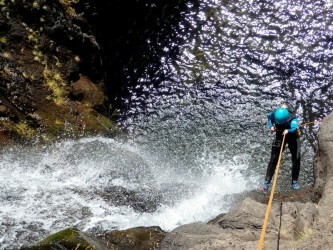 Canyoning consists in exploring progressively a river, transposing the vertical and water obstacles that nature offers. 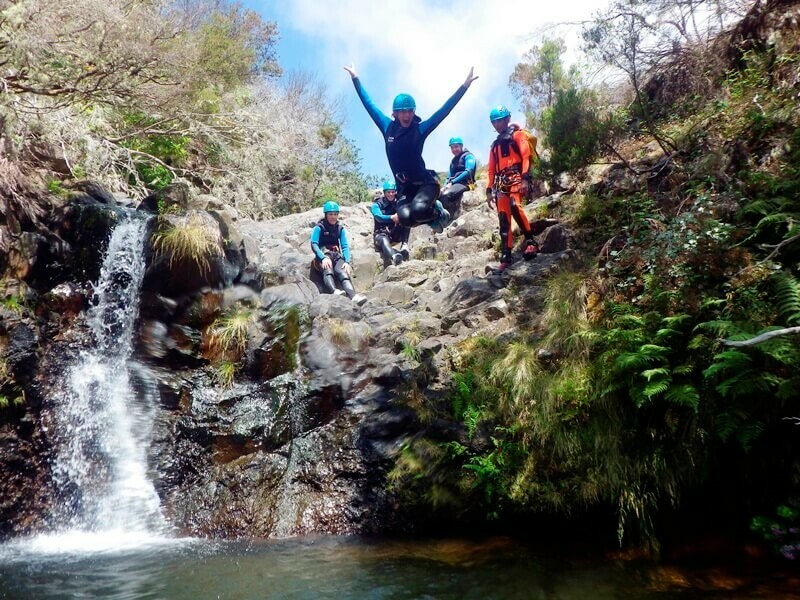 This activity allows to enjoy natural landscapes hidden in the valleys and gorges of the Laurissilva forest, classified by UNESCO as World Natural Heritage. 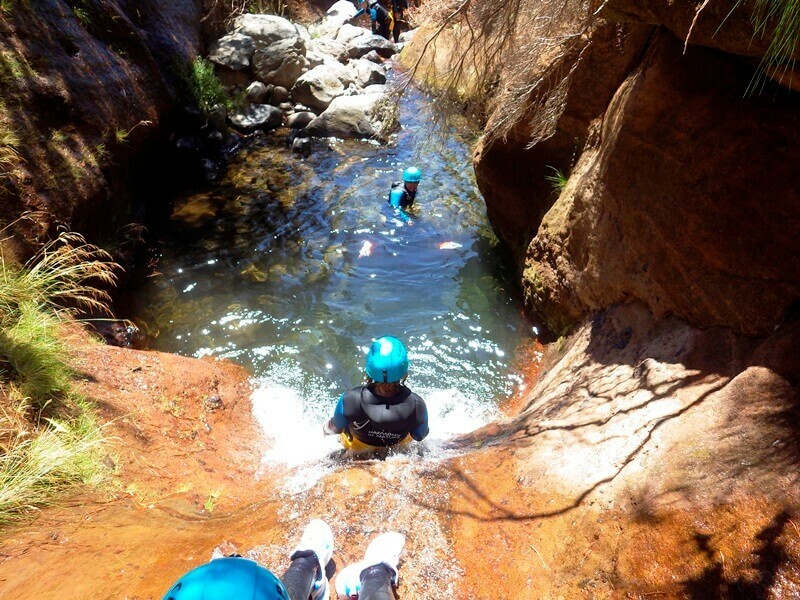 Enjoy natural landscapes hidden in the valleys and gorges of the Laurissilva forest. 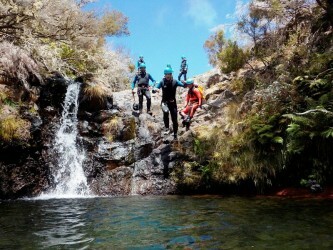 Jumps to small natural ponds and Toboggans. 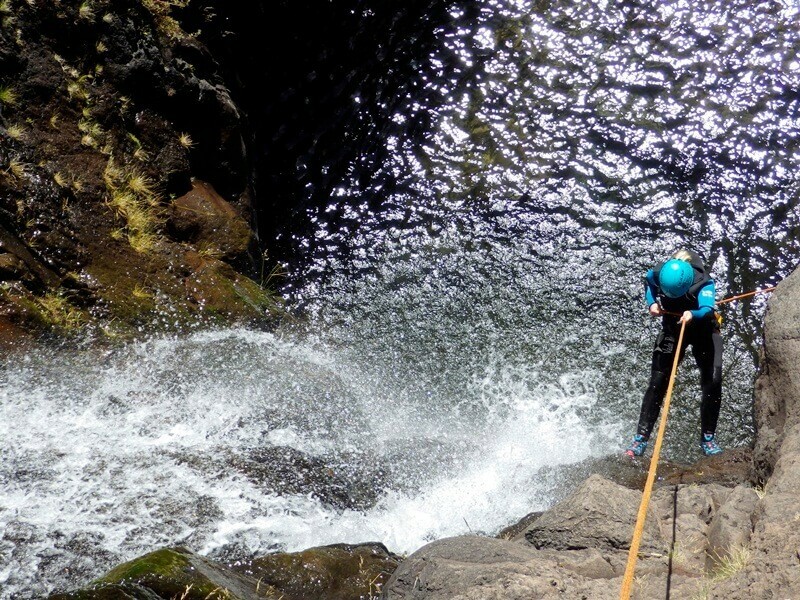 This Canyoning is located within the Ecological Park of Funchal. This has a very diverse indigenous flora due to the existence of several waterways coupled with large differences in altitude. 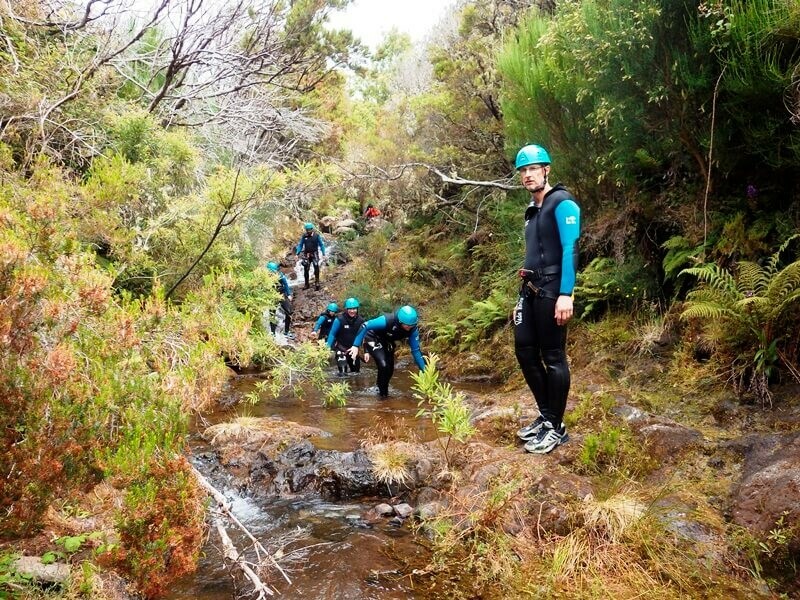 Transfer, insurance, pictures of the tour, individual equipment, water and chocolate, 2 certificated guides. 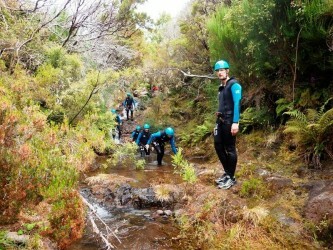 Activity of 3 hours (4 the 5 hours from the hotel and back to the hotel). Should Bring for Beginners Canyoning a swimsuit and a towel.